Sunworld II is a 25 meter classically designed gulet. 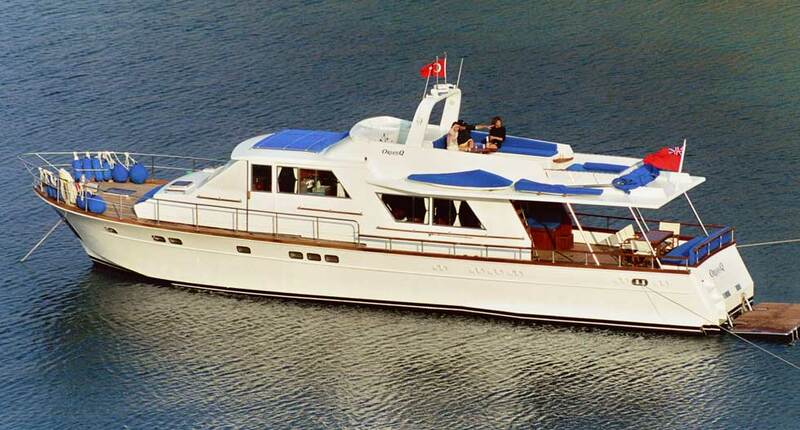 She was built as a charter yacht in 2001. Air-conditioned throughout,she offers spacious accommodation for up to 12 guests in four double cabins and in two twin bad cabins. Each cabin has its own private WC and shower facility including a separately enclosed shower unit. The captain enjoys his own cabin with WC and shower, while the three crew members share the crew quarters with WC and shower.